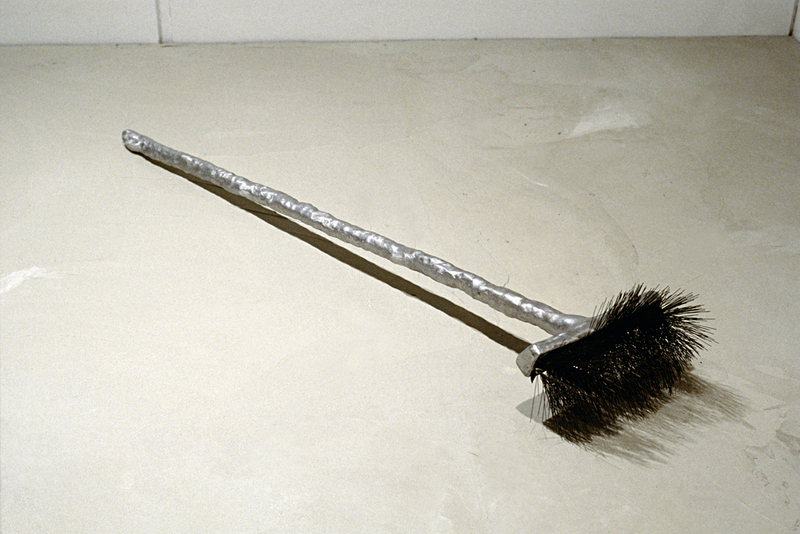 The cast aluminum broom contains a cordless mike. Below the surface throughout the raised platform floor are a series of transducer speakers. 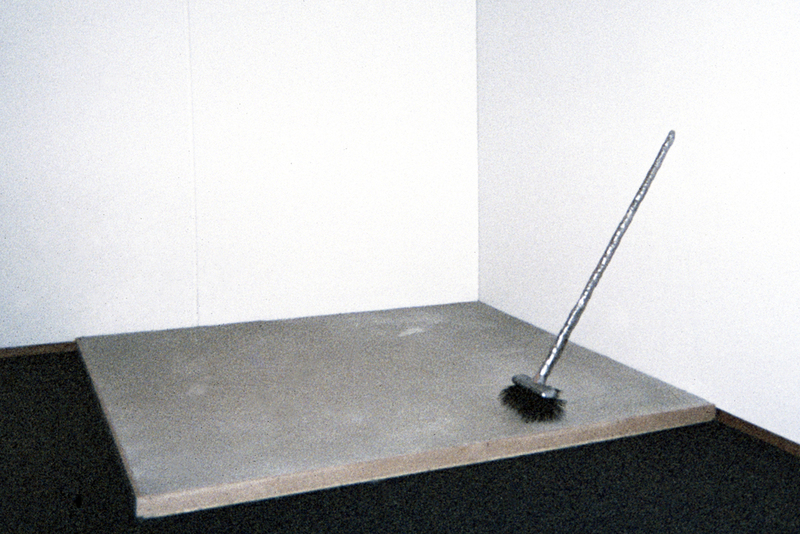 When the broom is swept across the floor, the sound created is amplified... going into, and coming back out of, the floor.